In New England, where I live, there are so many grand maple trees that the syrup goes into everything. You often find it in pots of baked beans instead of molasses, as well as in all kinds of cakes, pies, and other sweet desserts. Maple syrup also makes its way into simple weeknight dishes like this skillet chicken recipe, where it turns into a glaze. Start by searing the chicken by itself, then brown some onions until they start to turn golden. Add a few cut pears to the skillet so they brown, too. Spread the seared chicken breasts with a maple-mustard glaze, then set them on top of the onions and pears. The juices from the chicken baste the fruit and onions as it cooks, making them especially succulent, while the glaze turns the chicken a beautiful golden color. The onions also finish caramelizing in the oven. Here’s something to watch for when buying maple syrup: Check the label and make sure the bottle contains only maple syrup and no fillers. Many syrups sold for serving with pancakes aren’t pure maple (they’re often diluted with corn syrup). When you taste what real maple syrup adds to the dish, you’ll know why New Englanders reach for it not only for pancakes, but for just about everything else as well. If you don't have an oven-safe skillet, transfer the cooked onions and pears to a baking dish in Step 4, place the chicken on top, and bake. 1 Brown the chicken: Heat the oven at 450°F. Sprinkle the chicken with 1/2 teaspoon salt and 1/4 teaspoon pepper. Heat the olive oil in the skillet over medium-high heat. When it is hot, add the chicken and cook without disturbing for 3 to 5 minutes, until the underside is golden. Turn and cook the other sides for 3 to 5 minutes more, until the other side is golden. Transfer chicken to a large plate. 2 Cook the onion: Melt the butter in the skillet over medium heat. Add the onion, 1/2 teaspoon of salt and 1/4 teaspoon pepper. Cook, stirring often, for 8 minutes, or until the onion starts to brown. Move the onions to the center of the pan. Add the pears, cut sides down, around the edge. Cook for 4 minutes or until the pears brown on the bottom. Stir the onions occasionally. Turn the pears and cook the other cut sides for 3 minutes more. Stir the onions occasionally. 4 Return the chicken to the skillet and glaze: Gently stir the pears and onions together and flatten them slightly to create a bed for the chicken. Place the chicken on top of the pears and onions. Tip in any pan juices from the plate into the skillet. In a small bowl, stir together the maple syrup and mustard. Spread the glaze over the chicken breasts with a spoon. 5 Bake the chicken: Transfer the skillet to the oven and cook for 20 to 25 minutes, or until the glaze is browned, the pears are tender when pierced, and the chicken is cooked through. 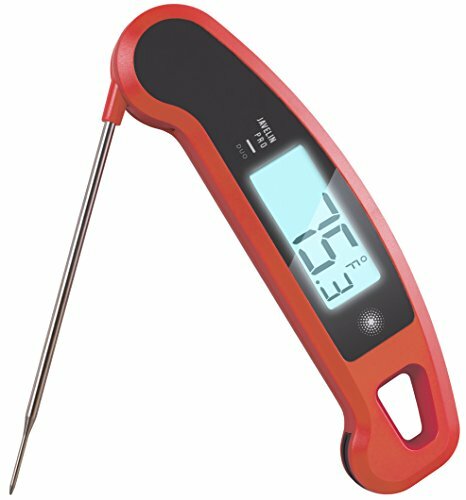 A meat thermometer inserted into the thickest part of the breasts should register 165°F. 6 Serve the chicken: Divide the pears and onions between plates, add a chicken breast, and sprinkle with parsley. Hello! All photos and content are copyright protected. Please do not use our photos without prior written permission. If you wish to republish this recipe, please rewrite the recipe in your own unique words and link back to Maple-Glazed Chicken with Caramelized Onions and Pears on Simply Recipes. Thank you! I made this last night; great flavors on a cold winter night! I did make a few modifications based on personal preferences. Used bone in chicken thighs, three large pears, doubled the amounts for sauce and used 1 tablespoon Dijon mustard and 1 tablespoon stone ground mustard to give it some texture. Before putting it in the oven, I added one cup chicken broth. Baked it at 350 for 45 minutes (convection oven). It came out with a little saucy gravy to it. Served over mashed potatoes with side of peas. Will definitely make this again, easy and delicious! 450 Degree Oven may be too hot; I made this dish last night and the chicken was a bit dried out. I wonder if it would be better in a 400 degree oven or even 350 degree oven. This turned out pretty good but some of the glaze burned onto my glass baking dish. If my oven is at the temperature specified in the recipe why would this happen? Hi, Nathaniel! So glad you liked the recipe! Any number of reasons could have caused some of the glaze to burn. I’m guessing that either your dish was a little larger than the skillet we used for testing (so the glaze spreads out more and evaporates more quickly) or your oven temperature is a little off (many ovens run a little hotter or cooler than whatever we turn the dial to; best way to know the exact temperature is to put an oven thermometer in your oven). Hope that helps! I haven’t even done the dishes yet but I had to comment that this dinner was so incredibly delicious!! I added sliced Yukon potatoes at the same time as the pears and halved the recipe. Big Thank you for this recipe! Does the oven temp change if you sub chicken thighs for the breasts? Hi, Lisa! The same oven temp should work just fine, though I usually find that thighs take slightly longer to cook. I’d check them at 20 minutes to gauge how fast they’re cooking, but expect them to take 25 to 30 minutes. Wow! Just made this tonight and it was really really good, definitely a keeper for our house. Based on one of the earlier comments about the chicken being dry, I put foil over the pan before putting it in the oven and it came out perfect. Thank you for this great recipe! So glad you liked it, Natalie! I could slow cook this for an hr or so on high don’t ya think? I made this tonight and it was yummy! However, the breasts were a little dry, and I think I’ll try it next time with thighs (as I do with Simply Recipes apricot chicken). I suspect this will become another regular in my repertoire. Mmmmm…. Could thighs be used in this recipe in a 350 degree oven? My oven does not go higher. Hi, Ruth — yes, you should be able to cook at a lower temperature, but it will take longer. I’d start checking them around 40 minutes, and then continue cooking until they’re done. Good luck! Stores don’t have pears yet in my neck of the woods. What about a firm-fleshed Apple (Gala, Braeburn) with some cinnamon or nutmeg added to the sauce? Yes, you can add a firm-fleshed apple instead. Before you add cinnamon and nutmeg, though, try it without them so you can see how you like the maple taste on its own. Happy cooking! Just bought chicken breasts and have maple syrup. Just need the pears. Yippee! I buy Trader Joe’s Maple Syrup, Grade B. They also have Grade A, but the B has a nicer maple flavor. A is pretty bland. Glad to see it calls for only 2 T as syrup is pricey! Can I use boneless, skinless chicken thighs instead? Yes, of course substitute chicken thighs. They’ll do just fine in this recipe. Happy cooking!